Surrounded by a generous green area and two refreshing pools where you can relax in peace in the comfortable beach chairs or within your individual private covered terrace, the spacious Terracos do Milenio II apartments are the ideal choice for your spring or summer holidays, short or winter breaks – two charming double bedrooms, two fully fitted bathrooms, dinning & living room with direct access to terrace where the barbecue invites to a tasty outside meal, fully equipped kitchen (oven, micro-waves, fridge, dishwasher, washing-machine, toaster, mixer, juicer, coffee machine, kettle, cooking utensils, iron), and all the other important features such as cable TV with your favourite channels, air-conditioning (heat and cool), safe, high quality bed linen and soft towels. 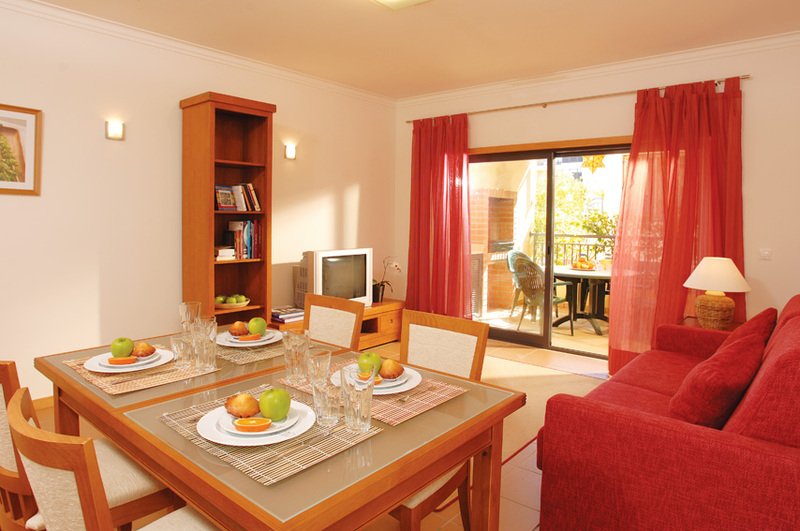 Give yourself and your family a true memorable break at Terracos do Milenio II apartments – avoid crowed hotels and tiny hotel rooms, and benefit from privacy, space (115m2 just for you) quality of equipments, personalized 24h service from our dedicated team – all these at a very competitive price! Escape the crowds – find peace, quiet and comfort in our gated condo Terracos do Milenio II – these are priceless commodities. Long term rental available for dates between 1st November and 31th May and for a minimum stay of 4 weeks - 650 € per month. The price note includes maid service but include energy cost.